The new spawning season closure would be April through July. This item is tentatively scheduled for the December 2017 FWC Commission meeting in Gainesville. Beginning in 2011, the Florida Fish and Wildlife Conservation Commission enacted new regulations for permit, creating a Special Permit Zone, or SPZ, in the Florida Keys. One of the new regulations in the SPZ was to close harvest during permit spawning season, which was identified as May through July. 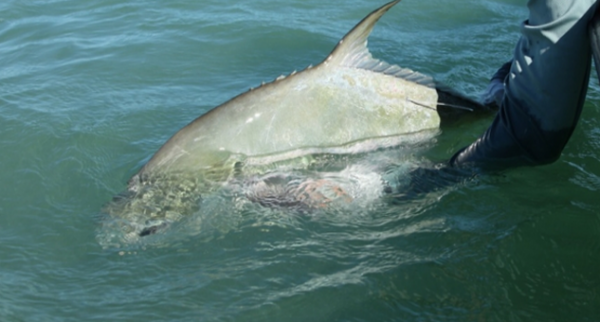 Recent data from BTT’s ongoing Permit Acoustic Tracking Project shows what many guides and anglers have observed in recent years – that Permit are arriving at spawning sites on wrecks and reefs earlier, in April, and some as early as March. This indicates that the spawning season has expanded to cover April through July. The recent data analysis also shows permit traveling between the flats, reefs, and wrecks, thus confirming that some of the Permit on wrecks and reefs are flats fish. Read the full article… Your input may be valuable.